” The take-away from this week’s session, so Representative Devin Nunes (R–CA) told Fox’s Megyn Kelly, was that the beleaguered U.S. diplomats and CIA staff in Benghazi were not beyond assistance, as Obama Administration officials would have us believe. Repeatedlymembers of the Administration have stated that there was just not enough time for military assets to come to the aid of U.S. Ambassador Christopher Stevens and his staff in the diplomatic facility, or the contractors and staff in the CIA annex roughly a mile away. The diplomatic facility came under attack at 9:00 p.m. on September11, fighting at the CIA annex erupted between 12:30 a.m. and 2:00 a.m., and culminated with a mortar barrage at 5:00 a.m. on the 12th. Throughout the evening and the morning, people all over Benghazi, including other foreign diplomats, followed the fighting with fascination. No one could possibly know with certainty that this was the end of the battle, though Washington clearly hoped that it was. ” Contractors described the cries for help that night by the state department personnel as “almost frantic” as they were pleading for help to save their lives. Westmoreland reports that when the CIA team arrived, they found the state department personnel unarmed, not “kitted up,” and in hiding. He also said that the testimony revealed that up to the point when the CIA contractors arrived at the compound, no shots had been fired from the American side of the conflict. The lies continue to make their way to the surface . Benghazi should be the end of Hillary’s political ambitions but given the best efforts of the media in sweeping her malfeasance in the Benghazi affair under the rug and their desperate desire to see her become our first woman president the public at large will remain blissfully occupied with the doings of the Kardashian tribe and the newest smart phones rather than the corruption of the Obama administration and the State department under Hillary’s shameful “leadership” . 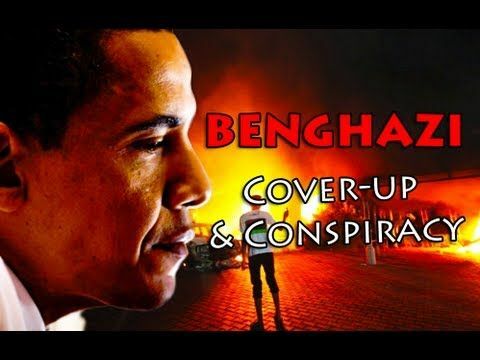 The lies and coverup of the Benghazi attacks have always been about preserving political viability , firstly Barack’s for 2012 and secondly Hillary’s in 2016 . The water-carriers in the MSM are not about to abandon all that they have invested in the Democratic party because a few Americans lost their lives to Obama/Clinton incompetence and selfishness . After all , “what difference does it make” ? ” The injuries were sustained by U.S. personnel after mortars struck the CIA annex rooftop they were defending. Fox News is told that one former government contractor — who is expected to testify this week along with four other contractors in classified sessions on Capitol Hill — has had multiple surgeries since the attack and has still not regained full use of one arm. In addition to former Navy Seals Tyrone Woods and Glen Doherty, who were killed defending the Annex, at least two other Americans were severely injured on the roof top. 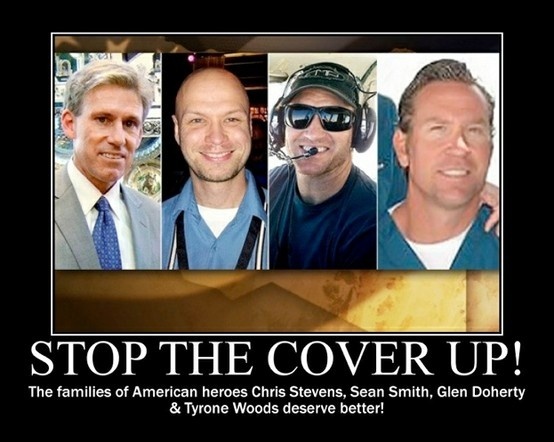 The American people deserve to learn the truth about Benghazi and it’s cover-up . Enough with the stonewalling and lies . It is plain to anyone with an open mind that Obama and Clinton have gone to tremendous lengths to preserve their political viability and that in Obama’s case he has succeeded . He won his reelection and so now is done but Hillary still dreams of returning to the White House and thus cannot afford for the truth to be known . That truth being , in simple , easy to understand terms , that for the first time since the Iranian revolution a president and his Secretary of State not only allowed the sovereignty of an American embassy to be violated after having been warned of potential threats , but refused to bolster security in response to the threats and then when the threats actually materialized refused help for the minimal besieged security forces that were in place . A clearer example of dereliction of duty by a “Commander-In-Chief” we can’t imagine . 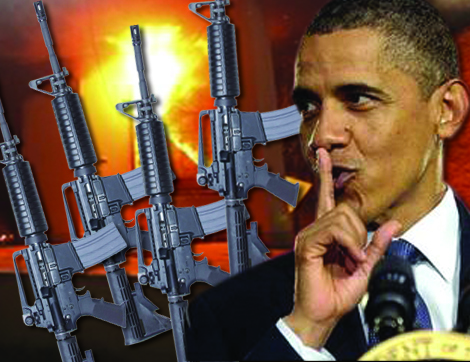 The link below offers a very clear and concise summary of the events of September 11/12 , 2012 . 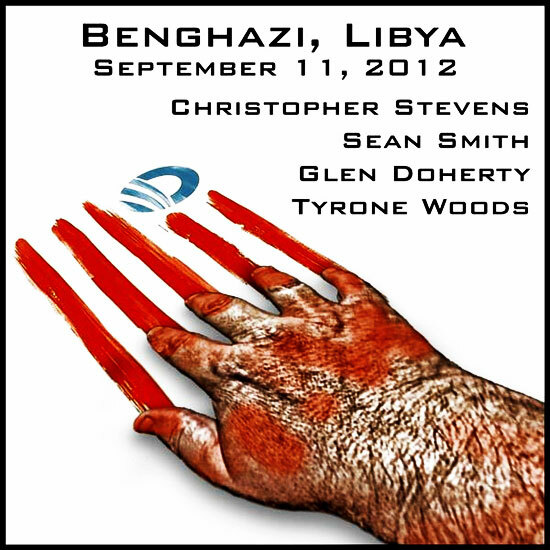 If there is one article on the Benghazi ATTACK that we would suggest as required reading it is this one . Read it and bookmark it for the links and as a reference point . As to the aftermath and subsequent cover-up we need to turn elsewhere and this post published on October 30th of that year reveals in very stark terms how little we have learned in the past year. Here is a biographical sketch of the author Clare Lopez . You can judge for yourself her bona fides .This is not the rant of some pajama-clad rightwinger down in his folk’s basement . ” Clare M. Lopez is a strategic policy and intelligence expert with a focus on Middle East, national defense, WMD, and counterterrorism issues. Specific areas of expertise include Islam and Iran. Lopez began her career as an operations officer with the Central Intelligence Agency (CIA), serving domestically and abroad for 20 years in a variety of assignments, and acquiring extensive expertise in counterintelligence, counternarcotics, and counterproliferation issues with a career regional focus on the former Soviet Union, Central and Eastern Europe and the Balkans. She has served in or visited over two dozen nations worldwide, and speaks several languages, including Spanish, Bulgarian, French, German, and Russian, and currently is studying Farsi.